Rejuvenative Foods’ nut butters are wonderful. Of particular deliciousness is the Pecan Pie Butter and I love making it into an easy 1-Minute Nut Milk by blending 1-2 tablespoons with a cup of water. Then, I enjoy it with raw granola, as cream in my Teeccino, or just as a tall glass of cold raw nut milk. Truly delightful! They have other great raw vegan nut butters, but, not all of their products are vegan (some have honey), so you might want to check the label. 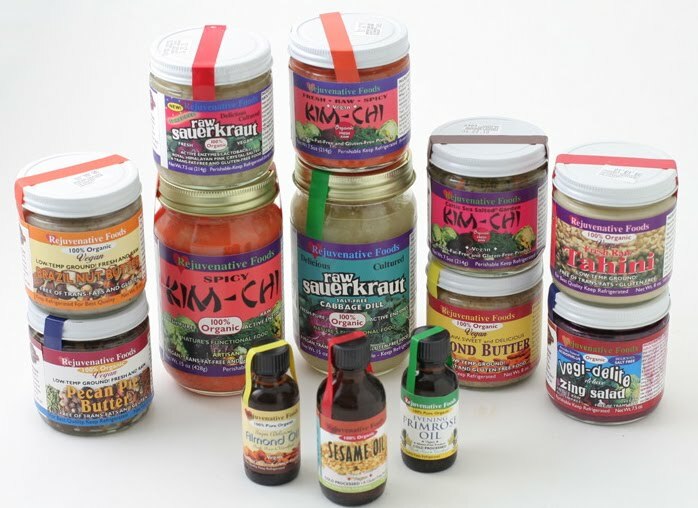 Rejuvenative Foods also sells fermented foods – whoo hoo! 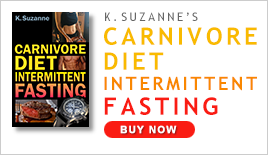 When I don’t have time to make my own sauerkraut, I love being able to turn to Rejuvenative Foods’ fermented foods. They’re always fresh and packed full of flavor, zing, and bite. And, let me tell you… Fermented Foods Rock -> they can help fight disease, they’re great for digestion, and they’re loaded with fiber and nutrition. I love all of their sauerkrauts and kim-chi options. In particular, the kim-chis have a sassy spice to them that warms up my mouth even though they’re cold from the refrigerator. I have enjoyed them on my homemade Raw Vegan Hearty Buckwheat Biscuits, topped on salad, and just plain by the forkful. I was particularly fond of the Sea Vegetable Garden Kim-Chi because I’m not normally a sea veggie girl, but this tasted great. I love finding tasty sources of sea veggies since I don’t regularly get them in my diet. And… my husband loves their sauerkraut on non-gmo tofu brats. 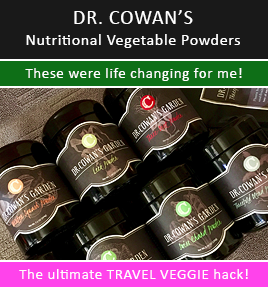 I have been a paying customer of Rejuvenative’s for years, and was grateful when they offered to send me a sample of goodies. They also sent me some of their oils, and I’ve been enjoying the raw almond oil and raw sesame oil on my body as a moisturizer (including my pregnant belly!). It smells fabulous. Sometimes I add a dash to my green juice if it contains carrot juice to help my body assimilate the beta-carotene better. On a Green Mommy Blog note: I blogged a bit about Elimination Communication if you’d like to hop on over there and take a peek.